Coach Cabrita played for the Falcons of St. Joseph High School in Metuchen and continued on to play at the national level with the Rutgers New Brunswick Men's Volleyball Team. In 1994, Coach Cabrita began his coaching career as an assistant coach for St. Joseph H.S. and helped the team earn their first ever State Championship Title in 2002. In 2005, Coach Cabrita took over as Head Coach, and in 2006 he led his team to a State Sectional title and the overall State Championship title. In 2008, Coach Cabrita captured another State Championship title, and set a state record for most wins by a team in a season in all sports in the state of New Jersey with a record of 43-1. In 2009, Coach Cabrita led his team to the State Sectional Finals and in 2010, his team captured the State Sectional title and received Team of the Year Honors from the Star Ledger. In both 2011 and 2013, Coach Cabrita captured two more State Sectional Championships. In 2016, Coach Cabrita captured another GMC County Championship and took his team to the State Sectional Finals. In 2008, Coach Cabrita was named Coach of the Year by the NJSIAA, Coach of the Year for the GMC and Coach of the Year by the Home News Tribune. Additionally, he received 2009 Coach of the Year accolades from the Star Ledger. In 2013, Coach Cabrita was named GMC Coach of the Year. Coach Cabrita was also selected as Coach of the Year by the Home News Tribune both in 2013 and 2014. Coach Cabrita has also coached several high school girls programs. He was an assistant coach at J.P. Stevens H.S., and the Head Coach at Wardlaw Hartridge H.S., Rutgers Prep H.S., and West Windsor-Plainsboro South H.S. where he received Coach of the Year accolades and helped the team earn their first ever conference championship. Additionally, Coach Cabrita worked at the collegiate level as an assistant coach for the Division I, Rutgers- New Brunswick Women's Volleyball Team and also as Head Coach for the Rutgers Men’s Club Volleyball Team. He led the Men’s team to a third place finish at Nationals in his final year coaching. Furthermore, Coach Cabrita has worked at numerous collegiate summer volleyball camps including Rutgers University and the University of Delaware. He is also a Volleyball Clinician and travels to various local high schools and middle schools upon request. Coach Cabrita is also a certified volleyball official with the CJVOA and in 2010 was selected as NJ Girls Volleyball Official of the Year by the NJSIAA. Pedro Trevino was a four year starting setter for the New Jersey Institute of Technology Men's Volleyball Team. He left the program as the all-time assists leader. During his final three seasons at NJIT, he ranked in the Top 15 in the nation for assists per game. For three consecutive years, Coach Trevino was named to the All Tournament Teams for the EIVA DII & DIII Championships. He received the Male Athlete of the Year Award his senior year at NJIT. In 2006, Coach Trevino began his coaching career as an assistant coach at St. Agnes School in Clark. In 2009, Coach Trevino assisted the Men's Volleyball Team at NJIT. Also, in 2009, Coach Trevino joined the coaching staff at St. Joseph High School in Metuchen and helped the Falcons earn a State Sectional Championship Title in 2010 and 2011. In 2010, Coach Trevino took over as the Head Girls Volleyball Coach at Summit High School. In his first year, he led his team to the Group II South State Sectional Semi-finals; an accomplishment for the program that hadn't been reached since 1998. In 2011, Coach Trevino led his Summit team to a 21-3 season marking the best record for the Summit Girls Volleyball Program in school history. Additionally, Coach Trevino captured the 2011 Division title and was named the 2011 Union County Coach of the Year. In 2011, Coach Trevino became the Division I, Head Men's Volleyball Coach and assistant Women's volleyball coach at Rutgers University in Newark. In 2015, Coach Trevino captured a CVC championship and hosted a NCAA match for the first time in the school's history. His team finished #12 in the country and Coach Trevino received CVC Coach of the Year honors. Coach Trevino coached the CVC Player of the Year and had two additional players make the All-Conference team. In addition, Coach Trevino coached the MVP of the CVC tournament as well as two players all tournament players. Furthermore, Coach Trevino guided one of his players in earning All-America and All ECAC status. Additionally, Coach Trevino serves as a guest clinician with Warren SixPack volleyball club where he works with both the boys and girls teams year round. Coach Rodrigues began her varsity coaching career in 2002 at Kent Place School in Summit NJ. From 2002-2007, her teams totaled a record of 80-39, were the Colonial Hills Conference Champions, and consistently reached the Group 1 quarterfinals in the state tournament. In 2004, Coach Rodrigues was the Colonial Hills Conference Coach of the Year as well as the Union County Coach of the Year for the NJ Star Ledger. In the fall of 2007, Coach Rodrigues took over the girls program at Hunterdon Central and was also hired as the boys coach for the 2008 season. During her time at Hunterdon Central, she compiled a 121-17 record with the girls for an .877 win percentage, still the highest win percentage to date of any girls coach in the history of the program. On the boys side, she compiled a 63-40 record for a .611 win percentage, still the highest win percentage of any coach in the history of the program in addition to being the only coach in the history of the program to have four consecutive winning seasons, and four consecutive state tournament appearances for the boys. In 2007, she was named the Central Jersey Coach of the Year by the NJ Star Ledger and in 2008 the NJSIAA awarded her the Special Sports Award for her statewide service and dedication to the sport of volleyball. Coach Rodrigues coached the 2007 Gatorade Player of the Year for NJ in addition to numerous All-State players during her four years as the head girl’s and boy’s coach. Most notably, in 2008, Coach Rodrigues was named the runner-up for the National High School Coach of the Year by the American Volleyball Coaches Association (AVCA). Coach Amanda branched out and spent two seasons in Pennsylvania coaching at Nazareth Area HS. During her time there the program finished 10-7 in her first year and 14-4 in her second while qualifying for the District XI tournament both years. Currently Coach Rodrigues is the Head Women’s Volleyball Coach at the College of St. Elizabeth. A struggling program (10-21) in 2014, she was hired in January 2015 to turn the program around while placing an emphasis on strong recruiting. The 2015 preseason poll had CSE finishing dead last. In just her first year she brought in seven recruits and finished her first season of the fall of 2015 with a record of 14-13, and finished an unexpected #7 out of 12 teams in the competitive NEAC conference. She has recently been named the assistant men’s coach for the inaugural 2017-2018 season. Jason Madsen began his playing career at St. Joseph High School in Metuchen. In 1999, Jason helped the Falcons capture the first ever Greater Middlesex County Championship. Jason was a 3 year Varsity player and lead his team in assists, digs and aces his senior year. Jason played for Ramapo College before transferring to Stockton State College. Jason returned to St. Joseph High School in 2006 as an assistant coach for the St. Joseph Falcons and helped the team earn 3 State Championship Titles. Additionally, in 2008, Jason was the assistant coach for the Boys Team at Bridgewater-Raritan High School and recently assisted with the Girls Team at J.P. Stevens High School. In 2011, Jason was appointed as the Rutgers-Newark Men's Volleyball Assistant Coach and in 2012, was named the Rutgers-Newark Women's Head Coach. In 2016, Jason was appointed the Head Mens' and Womens' Coach at the College of Staten Island. Currently, Jason is serving as the Womens' Volleyball Coach at Fairleigh Dickinson University. Additionally, Jason coaches the National team for Warren SixPack. and girls coach at Hunterdon Central HS. Kaman worked as the Assistant Volleyball Coach for both teams from 2008-2011, where in four seasons he posted a .913 win percentage with his JV teams. He also was the assistant coach for both varsity programs and played a huge role in the building up of the boys program. Coach Hung started the first freshmen boys team at Hunterdon Central and coached them for two seasons while also being the head JV coach and assistant Varsity coach. During the winter of 2012, Coach Hung opened his own volleyball training facility in Asbury, NJ. He not only coached a variety of teams, but also co-directed the entire operation. In his inaugural club season, Coach Hung coached the 18-Open team to a seventh-place final ranking out of 84 teams. Seven of his eight players continued their playing careers at NCAA Division II and III programs. All his players contributed to their programs in their first year playing college ball. In his second club season, Coach Hung led his 15-Open team to a 13th place finish in GEVA regionals while coaching his 18-Under Club Boys team to their first tournament final. Looking to grow the sport he also ran clinics for ages 11-14 to foster interest and build skills at the early levels. Coach Hung took his experience out to Pennsylvania in the spring of 2013 when he was hired as the Head Varsity Coach at Nazareth Area HS for the boys program. A struggling program, Coach Hung has transformed the boys program over the last four years into one that competes and qualifies for post season consistently. In 2013, Kaman coached the first ever All-State Volleyball Player in Pennsylvania for Nazareth Area HS. Two years later, Kaman was able to get the boys team to their first post season in over five years by qualifying for the District XI playoffs. Kaman also served as the Nazareth girls assistant coach in the fall of 2013 and 2014. In 2015, Coach Hung was hired as the Assistant Coach for the Women’s team at The College of St. Elizabeth. He was primarily responsible for working with setters and hitters. Additionally, as a Certified Strength and Conditioning Specialist (CSCS) he is fully responsible for the lifting programs both in and out of season. His expertise played a huge role in just the first season, helping the program to a 14-13 record after a struggling 2014 season (10-21). Most recently, Coach Hung has been appointed as the Head Men’s Coach for The College of St. Elizabeth. The 2017-2018 Men’s season will be the first in the history of the college. Coach Hung is actively recruiting for the inaugural season. In 2013, Coach Hung was selected as a Mentor Coach to the American Volleyball Coaches Association (AVCA) Coaching Program where he has mentored numerous young coaches to make a difference in the sport of volleyball. Most notably, during the 2014 season, Coach Hung was recognized for his outstanding work with developing club and high school volleyball players earning the prestigious AVCA 30 Under 30 Award. This award is given to only 30 coaches nationwide who are under the age of 30. ​Megan Knott is a former player and a current coach from the North Jersey area. She started her volleyball career at James Caldwell High School where she played as her varsity team’s captain for four years, earning All-Conference, County and State Honors. Knott also played club volleyball at Allegro and TCA volleyball clubs. She continued on to play intercollegiate volleyball and is an alumnus of Rider University, where she competed as an outside hitter and contributed to her team's starting lineup for four consecutive years. After completing her undergraduate degree in Elementary and Special Education, Knott started up the Girls Volleyball Program at Notre Dame High School in Lawrenceville, NJ. After two years of leading the program, Knott went on to become the Head Women’s Coach at Rutgers Newark University and a club coach at Atlantic Valley Volleyball Club. She is also currently a Special Education teacher in Long Hill, NJ. She has been coaching for a total of 5 years and will return for her third year at Rutgers Newark in the fall. Jimmy Pompeo started his volleyball career in 2004 where he became a 4 year varsity volleyball player and two year varsity starter for Hunterdon Central Regional High School. He then went on to play 2 years of collegiate volleyball at Kean University where he was part of the program’s first team in history, as well as the first Skyline Conference Championship team in program history. After graduating and assisting the men’s volleyball team at Kean in 2012, he became the youngest head men’s coach in 2013, accepting a position at Sage College of Albany, producing 3 all conference players in two years at only age 23. In 2015, Pompeo took his talents to New York City, accepting the position of head coach at Hunter College. He would be named conference coach of the year, coaching the Hawks to the CUNY Championship, hoisting the trophy for the first time in 8 years. This would be Hunter’s second ever trip to the NCAA National Championship. He helped develop 5 CUNYAC all stars including player of the year and libero of the year during his short time in New York City. He has since returned to New Jersey as an assistant at Kean for the women’s team under his mentor, Don Perkins. He also coaches the Atlantic Valley 18 boys. He is one of very few Division 3 athletes to participate in the NCAA National Championship Tournament as a player, assistant, and head coach. Fred Siegle began his coaching career in 1994 with the Warren Sixpak Boys Club program. In 2002, he became the Club Director. Fred has coached numerous All-State Boys volleyball players since 1994 and continues to this day. 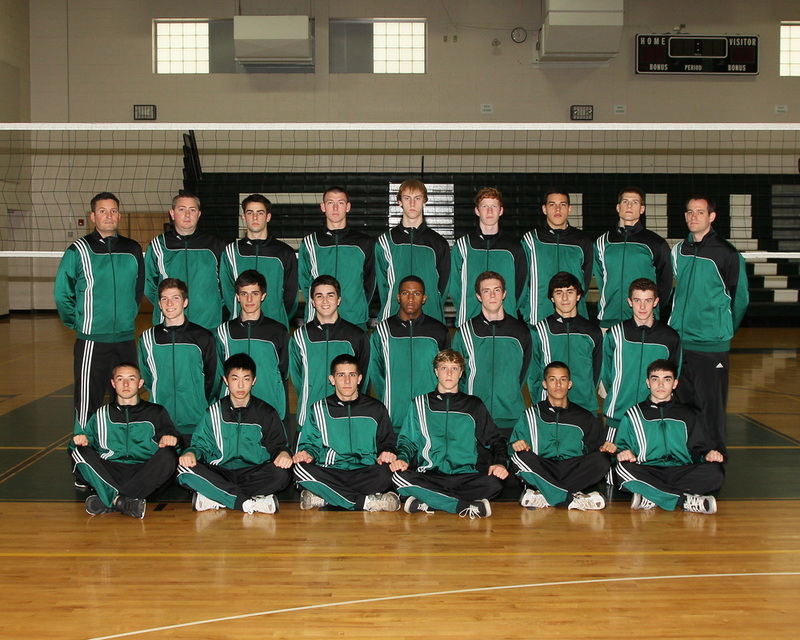 Warren Sixpak is the most successful boys volleyball club program in NJ. The club has grown to feature over 20 teams including girls teams which were added in the 2013-2014 season. Furthermore, the Warren Sixpak boys volleyball teams have been recognized nationally since the early 1990's. The Sixpak girls team's have continued to grow and improve in the GEVA rankings. Coach Siegle is also a NJSIAA certified official and works during both the girls and boys seasons. In addition, Coach Siegle was named the Head Women's Volleyball coach at Brookdale Community College in 2013. Coach Jason Ulrich is entering his fifth year as Assistant Coach at Georgian Court University. Coach Ulrich started coaching volleyball in 2001 at St. Thomas Christian Academy in Brick Township. From there Jason was chosen to start the first ever girls varsity volleyball program at Jackson Memorial High School in 2007. In Jackson's brief history, the program has won several tournaments at the freshman, JV, and varsity levels. Jackson Memorial has had a winning program five out of 6 seasons under Coach Ulrich. They have also been ranked in the Top-10 of the Shore Conference in each of those years, being ranked as high as #2. The program has had several of its players move on to play collegiate volleyball all over the country. In 2016 Jason started the Jackson Memorial High School boys varsity volleyball team. Jason has run a volleyball club for Jackson Township Recreation for the past 11 years and has anywhere from 50-80 members yearly ranging from ages 7-18. Jason is a Head Coach for Warren Sixpak Girls Volleyball Club where he has coached for 4 years. Louis Stevens began his playing career at Midwood High School in Brooklyn, NY in 1987. Coach Stevens went on to St. Bonaventure University where he worked as an undergraduate assistant for 3 years with the Women's Volleyball Team. Coach Stevens coached for several high school volleyball programs including Westfield High School, Cranford High School, Elizabeth High School, and Linden High School before taking over both the Boys and Girls volleyball programs at Bloomfield High School in 2005. Coach Stevens has led his boys program to 4 County Championships (2006, 2008, 2009, & 2010). In 2008, Coach Stevens was named the Star Ledger Boys Volleyball Coach of the Year. In 2004, Coach Stevens began coaching with the AVVC where he currently serves as coach and also Technical Director. Coach Stevens is USAV CAP Level 2 Certified and Gold Medal Squared Level 1 Certified. Coach Jaronczyk joins the NJ Premier staff with more than 19 years of coaching experience. Coach Jaronczyk has been an Assistant Boys Volleyball Coach at St. Joseph HS for 11 years and has been the Head Girls Volleyball Coach at Bishop Ahr HS for 18 years. Coach Jaroczyk was selected the Girls Volleyball Coach of the Year by the Star Ledger in 2006 and by the Home News Tribune in 2009. She was also named 2009 GMC Girls Volleyball Coach of the Year. Coach Jaronczyk and the Bishop Ahr Girls Volleyball Team were name GMC Division Champions in 2008, 2009 & 2011 . Additionally, Coach Jaronczyk led her girls team to the GMC Conference Finals in 2008 and 2009 and also reached the State Quarter-finals in 2009. Coach Jaronczyk is an avid indoor & beach volleyball player. For over 20 years, she has been running both youth and adult leagues throughout NJ. Coach White has been the assistant coach for the J.P. Stevens Girls and Boys Volleyball programs since 2002 and in 2013 took over as Head Boys Volleyball Coach. Coach White assisted the JP Stevens Girls volleyball program in reaching several GMC Conference Finals and was instrumental in helping the Hawks win the 2008 Girls Conference Championship. Coach White helped both the Girls and Boys programs at J.P. Stevens earn 5 Sportsmanship Awards. Additionally, Coach White has been the Head Volleyball Coach for the Central Jersey Summer League since 2004 and has been a Head Coach for the Edison Summer Volleyball Camp since 2002. Cody Chidsey was a four-year starter who earned All-Lehigh Valley Conference laurels by leading Northampton Area Senior HS to the district semifinals as a senior. Cody also earned the team’s scholar-athlete award and was a two year member on Club Lehigh. Cody is currently a Junior at Rutgers University in Newark. In both his freshman and sophomore year, Cody played in every match for the Raiders. Cody was named to the EIVA All-Academic Team his sophomore year and by his junior year earned CVC player of the week 3 times, ECAC player of the week 2 times, and AVCA Player of the week once. Additionally, Cody earned CVC Player of the Year, Second Team ECAC All-Stars, Second Team All-American, CVC Academic Team, and Co Rutgers Male Athlete of the Year. Kaitlyn Hansen was a 4 year Middle Blocker at Edison High School and just completed her senior year at Kean University. In Kaitlyn's junior season, she broke the Kean University career record for blocks as well as the single season record. Additionally, Kaitlyn received First Team All NJAC honors and was also named Most Valuable Player. For the past 3 years, Kaitlyn has coached summer volleyball camps at the University of Texas in Austin and also the Kean University Elite Volleyball Camps. In 2012, she began coaching with the CJ Heat Volleyball Club and coached the 15-2's team. Brian Kelly played four years of volleyball for Christian Brothers Academy. As a senior in 2014, Brian earned First Team All-Shore Conference and First Team All-State honors as a libero. He also played on the Warren SixPak national team for four years. Brian has coached in both the girls and boys program for Warren SixPack for two years and has also coached at other NJ summer camps. Brian currently plays club volleyball at Boston College and assists the Boston College Women's volleyball team as a practice player. Justin started his volleyball career at St. John Vianney High School where he played for 3 years and he was team captain and MVP twice. As a senior he earned First Team All-Shore and Second Team All-State honors as an outside hitter. Justin was a member of the Warren Sixpack national team for two years. Justin currently coaches with Warren Sixpack, both boys and girls as well as assisting with the St. John Vianney program. Justin is also an avid beach volleyball player and a member of the Great American Volleyball tour all summer long. He also coaches the GAV Juniors Clinics on the beach. Justin just finished his third year as an outside hitter/ opposite for Rutgers-Newark, where he earned a CVC title and reached the Elite 8 in the DIII NCAA tournament in his first two years. Zak Robben is a native of the Midwest coming from St. Louis, Missouri where he began his playing career at the age of 11. Starting club at the age of 13, Zak would play club volleyball for Midwest powerhouse St. Louis High Performance where his teams were regular contenders in the highest levels of the Boy’s Junior National Championship’s Open Division. and 2010 and a second place finish in 2011. As a senior Zak was named captain and was awarded First Team All-State. He currently holds the school records for career assists and number of assists in a season. After high school, Zak attended New Jersey Institute of Technology, a member of Men’s NCAA Division 1. A 4 year member and 2 year starter for the Highlanders, Zak was named captain his senior year. After completing an undergraduate degree in Biology at NJIT, he continued his education to get his Masters of Science in Biology. Zak has just completed his second season as an assistant coach at NJIT under head coach Danny Goncalves. As well as a college coach, Zak is currently a head coach at Warren Juniors Volleyball Club. Raymond Kowalski attended Saint Joseph High School in Metuchen, NJ where he was a 3 year member of the Varsity Volleyball Team. Raymond was a member of the 2011 and 2013 State Sectional Championship Teams. Raymond went on to attend New Jersey Institute of Technology where he continued to play volleyball and was named Freshman MVP. He is currently entering his Red Shirt year as a Junior. Myles Miller began his volleyball career at Piscataway High School. Myles continued on to Alderson Broaddus University where he was a 4 year starter for the program. Currently Myles is second in the nation in blocks per set. Myles was named to the All IVA team and was 2 time off the block defensive player of the night. Additionally, Myles was honored as IVA player of the year in 2017. ​Jackie began her volleyball career at Red Bank Catholic High School. After graduation, Jackie went on to play Division I volleyball at St. Francis College. Additionally, Jackie has been coaching with Warren Sixpack for 4 years. In the fall of 2018, Jackie will be the assistant coach at Red Bank Catholic and will work with the JV team. Jackie also plays beach volleyball and grass volleyball as well. Jens Madsen began his volleyball playing career at St. Joseph High School in Metuchen, New Jersey. In 1999, Jens helped the Falcons capture the first ever Greater Middlesex County Championship in the conference's opening year. He was named Player of the Week by the Star Ledger during both his junior season and his senior season. Additionally, Jens earned First Team All-State Honors his senior year. Jens went on to play at East Stroudsburg University and then in 2005 he returned to St. Joseph High School as an assistant where he has helped the Falcons earn 4 State Championship Titles. Coach Madsen assisted for some time with the Kean Men's Volleyball Team. He also served as the Head Coach with the Summit High School Girls Volleyball Team. Currently Coach Madsen is the Boys Head Coach at Watchung Hills and an assistant coach with the JP Stevens Girls Volleyball Team. Coach Hopman has been with the Old Bridge volleyball program for over a decade. He has coached both the boys and girls teams leading them to several county championships. In 2015, Coach Hopman was named National Federation High School Coach of the Year. Additionally, he was named 2010 and 2013 Star Ledger Central Jersey Coach of the Year. Coach Hopman coaches in one of the most competitive conferences in the state and was selected Greater Middlesex Conference Boys’ Coach of the Year in 2006 and 2013 and Greater Middlesex Conference Girls’ Coach of the Year in 2014. Phil Schaefer started his coaching career in 2013 while student teaching in Pennsauken, NJ. Phil was the Freshman Boy's Coach, and assisted in developing both the JV and Varsity programs. In 2015, Phil became the Assistant Varsity Coach for the Montclair Immaculate Girl's Program. In 2015, he started the boy's volleyball club at Montclair Immaculate with a full Varsity schedule in 2016, ending the inaugural season with an 8-8 record. Phil started playing on the beach through JSVBA, and then continued to play for the Rowan University Men's Club Volleyball team in 2012 and 2013 as a setter and right side hitter. He has also played at the National Collegiate Club Volleyball tournaments and USAV Adult Club Nationals tournaments. Rachel Cagnina joins the Rutgers University-Newark volleyball coaching staff after an excellent playing career at Division I McNeese State University. An All-Southland Conference selection as a senior, the Illinois native led the Cowgirls and ranked seventh in the conference with a .283 hitting percentage, leading the team both in kills and blocks. Cagnina played in 29 or more matches all four years of her career at McNeese, taking the court for 423 games. She tallied 942 career kills, hitting .212 overall and .241 and .283 in her final two seasons. Strong on defense as well, Cagnina registered 217 blocks, with 116 coming as a junior and senior. Cagnina served as a club coach in 2011 and 2012 with the Cowgirl Volleyball Club in Lake Charles, La., also working with the Southwest Select Club in 2015. Academically, she was on the President's Honor Roll List five times while at McNeese and the Southland Conference Commissioner's Academic Honor Roll. Cagnina is pursuing her master's from R-N and will assist in all aspects of the Scarlet Raider volleyball programs. Coach Tom Hennessy started the girls volleyball program at Colonia High School in 2006. He has helped lead his team to three GMC division titles, two county championships and two state final appearances. Additionally, Coach Hennessy has named Coach of the Year in 2008. Coach Hennessy is also a club coach with Atlantic Valley Volleyball Club (AVVC) where he helps mentor young coaches entering the sport of volleyball. Coach Hennessy is also the Head Winter Track Coach at Colonia High School. Jack Fredricks played for East Brunswick High School where he earned All-State Second team honors as well as All-Greater Middlesex County First team honors in 2013. Additionally, Jack earned Home-News Tribune All-Area First team in both 2012 and 2013. Jack was also a member of the prestigious Warren SixPak Volleyball Club where he competed at the national level. Jack just completed his freshman year as an outside hitter for the Scarlet Raiders of Rutgers-Newark under the direction of Coach Pedro Trevino. Jack also coaches with the Helios Volleyball Club in East Brunswick. Brittany Gajewski is a former player and a current coach from the Central Jersey area. She is an alumnus of Rider University, where she competed as a Defensive Specialist/Libero and held the position of captain for three consecutive years. After completing her undergraduate degree in Social Studies Education, Gajewski became a member of the Rider Women's Volleyball Coaching Staff as she worked to complete her Masters in Counseling Psychology. She has been coaching for 7 years, 5 of which she served at Atlantic Valley Volleyball Club, coaching girls from ages 10 to 18. Gajewski is currently building a volleyball program at Pequannock Township High School, where she teaches Social Studies. She will return in the fall of 2017 for her second year as head coach. Michal attended Bayonne High School, where he won the Hudson County Championship each of his four years. In 2009, Michal earned First Team All-County and First Team All-Area honors. Additionally, Michal received an Honorable Mention for North Jersey Athlete of the Year, as well as the Most Valuable Player in Hudson County. Recently, Michal has accepted a position on staff at The Ohio State University. He will be serving as a volunteer assistant coach for the Buckeyes. Kucza made his way to Columbus from Hamilton, NY, where he coached the Colgate Raiders for two seasons. Kucza made his way to Hamilton after serving as an assistant coach with the men’s and women’s volleyball programs at Rutgers for the 2013 season. As a member of head coach Jason Madsen’s staff, Kucza worked closely with the Scarlet Knights outside hitters, liberos and middle blockers. He also assisted in practice and game preparation, and recruiting for the women’s program. Prior to his time at Rutgers, Kucza spent the 2012 season as the junior varsity coach at Roselle Catholic High School. He also has extensive experience on the club volleyball circuit, having assisted with a variety of club programs within the state of New Jersey, including Allegro Volleyball, Dig It Garden State (DIGS) and Warren SixPak. Chris began his playing career as a setter and right side hitter at J.P. Stevens High School in Edison, NJ. He continued on to play for the College of New Jersey’s club volleyball team, where he moved to outside hitter. During his tenure at the College of New Jersey, Chris coached the women’s club team at the school. He later returned to J.P. Stevens to coach both freshman girls and JV boys, and he went on to work as an Assistant Varsity coach at Saint Joseph High School in Metuchen, NJ. Chris has also coached at a number of volleyball camps during his coaching career. In addition to his playing and coaching experience, Chris is a NJSIAA certified volleyball official, and officiates in both the high school girls’ and boys’ seasons. Doug Dzema attended Christian Brothers Academy in Lincroft, New Jersey where he was a member of the Soccer and Volleyball teams. He was the starting setter and Captain of his team. Doug earned First Team All Shore and Second Team All State Honors as well as being selected to the All Star Team. Doug is entering his sophomore year at Sacred Heart University where he continues to play for the Mens team.